Diamonds are flashing In the bright light of hundreds of candles. Rubies and spinels are twinkling gently, cold brilliance of sapphires and emeralds contrast with them. Precious stones, artfully inserted into gold and silver are as the stars, sometimes as the whole constellation are shimmering on surfaces of heavy silk, velvet and fine lace. All of this is repeatedly reflected in the mirrors create a fantastic atmosphere of solemnity and lightness, pretentiousness and refinement, narcissism and sensuality, caprice and charm. Such a image is drawn by imagination. It doesn’t inspire by the pages of a historical novel or memoirs.There are another witnesses of former splendor and grace, refined taste and elegance before us. 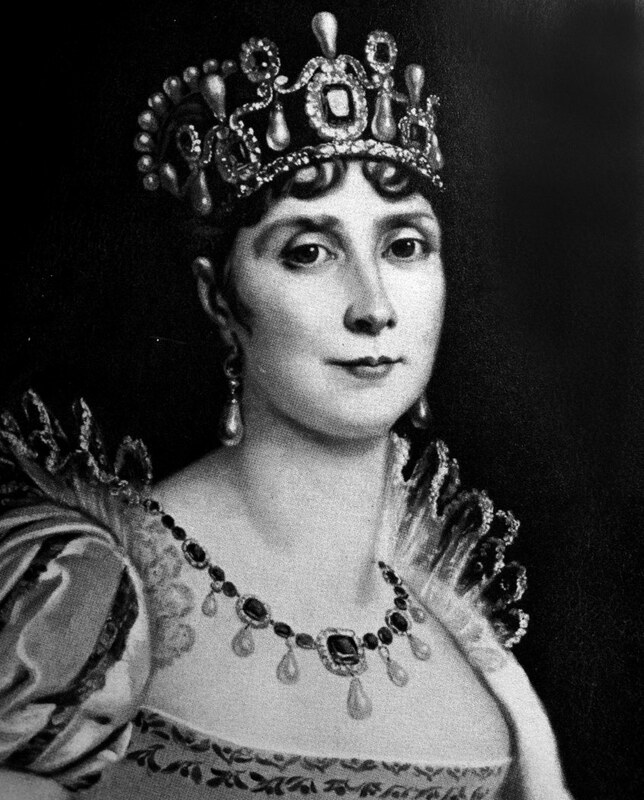 «The dazzling magnificence» – so wants to be called works of jewelry art, that came to us from other centuries. 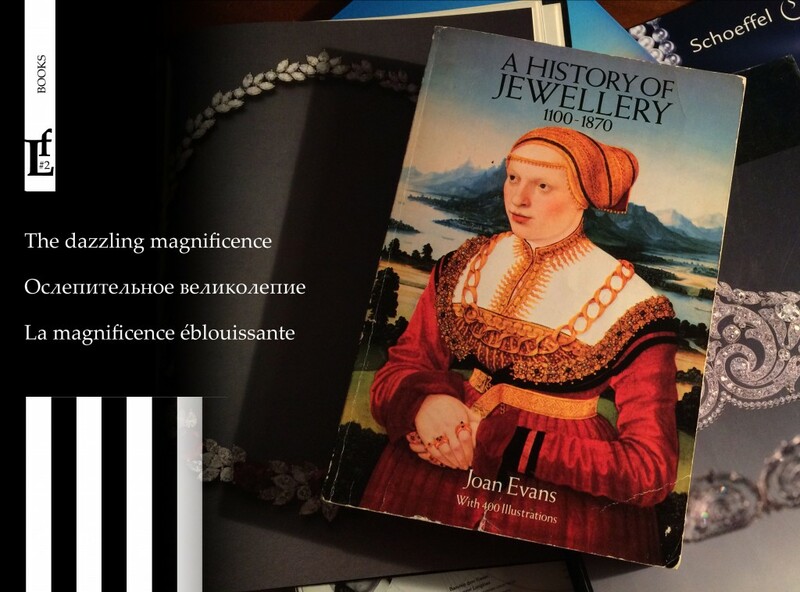 A history of jewellery.1100 – 1870 Joan Evans, a remarkable book, covering the period of the history of jewelry almost seven and a half centuries. 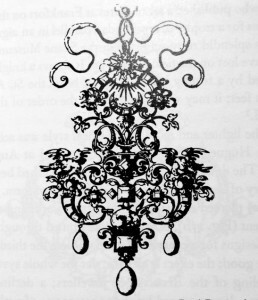 From the early Middle Ages and the Gothic period through the Renaissance to the 17-18 and 19 centuries. The history of jewelry is closely connected with the history of mankind, from amulets protect against the evil eye, natural disasters, disease to things for ceremonial occasions and attributes of infinite power and wealth. But there is not only shown the change of style from age to age , but also the relationship with fashion, costumes and the reflection of changing social values ​​of society. 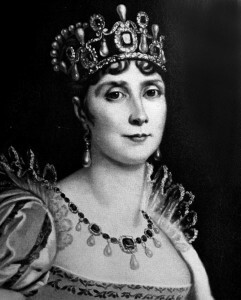 The author of the book, the daughter of Sir John Evans, known in England, the collector of antiquities. And the half-sister of John Arthur Evans , who was the head of archaeological site of Knossos Palace and researcher of the Minoan civilization. Joan received an excellent education, got a degree in archeology, became a member of the Society of Antiquaries, and later the first president- woman in its history. She had written many books of art history. This work is dedicated to the history of jewellery is read in one breath. 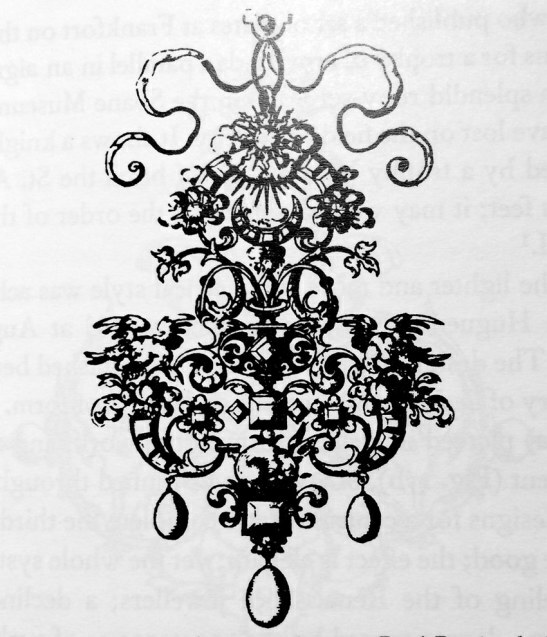 It is equipped with a large number of illustrations. Portraits nobles of those times, drawings and engravings of artists with ideas of creating jewelry, photographs of the masterpieces of the best museums and private collections in the world, complete this fascinating story.